At the Combine, Rams general manager Les Snead told NFL.com’s Gregg Rosenthal the club would not apply the franchise tag to receiver Danny Amendola. Now, it also appears that the Rams may let their receptions leader from a season ago hit the open market. NFL Network’s Ian Rapoport, citing sources, reported Thursday that Amendola seems likely to be unsigned once free agency begins in March. From a productivity standpoint, there is much to like about the 27-year-old Amendola, who hauled in 63 passes for 666 yards and three touchdowns in 2012. However, Amendola missed five games a season ago because of foot and clavicle injuries. In 2011, he was limited to one game because of an elbow injury. According to Rapoport, the Rams have a price for Amendola in mind. Should Amendola test the market, it will be interesting to see what other teams step up with an offer for one of the game’s better slot receivers. 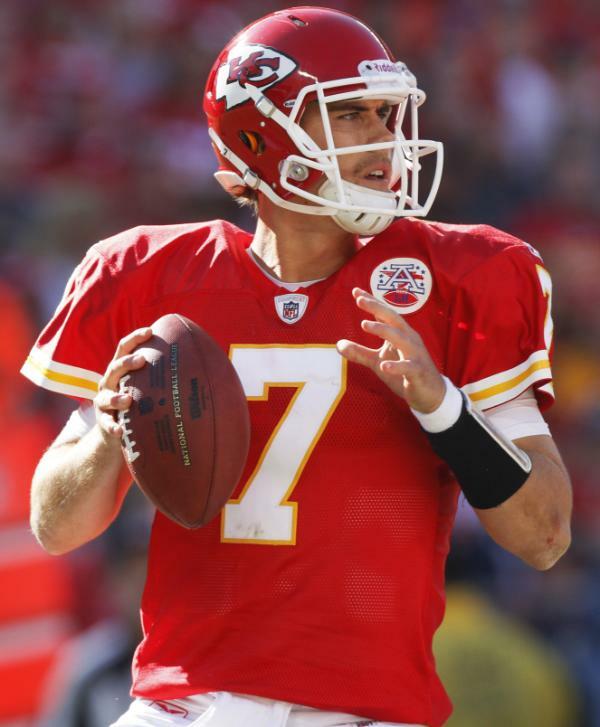 The trade sending quarterback Alex Smith to Kansas City can’t be officially completed for a while yet, but that isn’t stopping people from talking about what they might be thinking about doing next. Jason Cole of Yahoo! 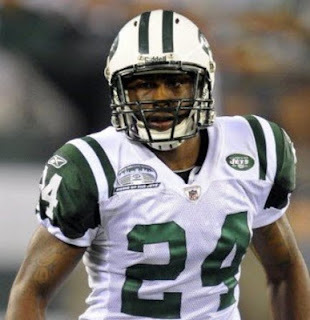 Sports reports via a pair of sources that the 49ers have discussed the possibility of trading for Jets cornerback Darrelle Revis and that they are “poised” to make a run at trading for him even if it is just for one year. Cornerback was as weak a spot as there was on the NFC champs last season so there’s probably not much need to explain why the prospect of acquiring Revis would be appealing. The Niners certainly have the ammunition for it. Assuming the Chiefs trade goes through, they’ll have 12 draft picks with three more selections (which can’t be traded) expected through the compensatory system. There aren’t 15 roster spots up for grabs on the 49ers so it makes sense to leverage those picks for quality instead of quantity. With the Chiefs second-round pick, the 49ers would have five of the first 93 picks in the draft and that would be an obvious starting point in any Revis trade. It’s all speculative at this point, but the bounty of picks and space for Revis in San Francisco mean we’ll probably be hearing more on this front. Lions wide receiver Nate Burleson made running back Reggie Bush a public pitch about signing in Detroit as a free agent last week, something that his team is prohibited from doing until the March 12 start of free agency. Don’t be surprised if they wind up making one once that date rolls around, however. 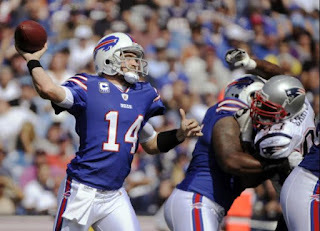 Dave Birkett of the Detroit Free Press reports that the team has “real” interest in adding Bush to their offense for the 2013 season. Birkett writes that the Lions have done plenty in the last few years in an attempt to surround quarterback Matthew Stafford with as much talent as possible, an effort that has had mixed results, and that signing Bush would fit right into that mode of operation. Bush’s skill as a receiver would seem to make him particularly attractive to a team that’s had a hard time finding reliable targets in the passing game other than Calvin Johnson. Bush’s desires are unclear beyond his stated interest to remain in Miami. With that outcome looking less likely, it seems Bush may be in a position to decide if life in the Motor City agrees with him. The Falcons figure to be in the market for a back, and there’s an indication they might be looking at swapping old for old. 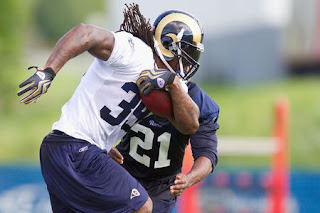 According to Jim Thomas of the St. Louis Post-Dispatch, the Falcons are “one of the most likely suitors” for Steven Jackson if he gets away from the Rams. The Falcons have a need at the position, as they’re expected to release Michael Turner. And Jackson will become a free agent by voiding the final year of his contract, getting to the market for the first time in his career. Turner, 31, gained just 800 yards last season, averaging 3.6 yards per carry. He did score 10 touchdowns, marking the fifth straight year he’s had double-digit scores for the Falcons. Jackson, who turns 30 just before the start of training camp, had 1,042 rushing yards last year, averaging 4.1 per carry. But Jackson also has more miles on his tires than Turner, with more than 750 more career rushing attempts. His numbers haven’t dropped off as precipitously as Turner’s have, but his rushing yards have decreased three years running. The Falcons know they’re close, and know they need some backfield help (regardless their support for Jacquizz Rodgers), but going to Jackson instead of a younger back would be another bold move for a team that hasn’t shied away from them. Among those who are raising their stock on the last day of the NFL Scouting Combine is Cal cornerback Steve Williams, who showed off great speed in the 40-yard dash. Williams was unofficially timed at 4.25 seconds in the 40, and although those unofficial times usually turn out to make players look a little bit faster than they really were, there’s no doubt at all that Williams is among the fastest players in this year’s draft. Williams was the only cornerback to break 4.3 seconds in the unofficial timing. 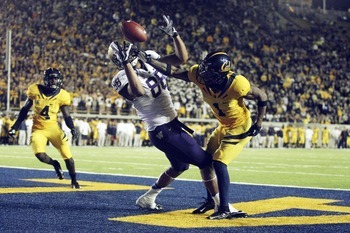 The 5-foot-10, 185-pound Williams started 28 games in three seasons at Cal before deciding to leave school early to declare for this year’s draft. He’s generally been considered a mid- to late-round pick, but today’s performance will have teams taking a closer look. He’s one of the best athletes available, at any position. 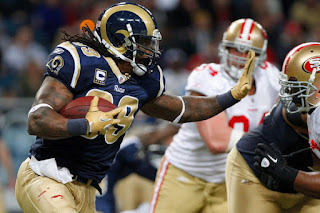 It has long been assumed that St. Louis Rams running back Steven Jackson would opt out of the final year of his contract and enter free agency. Despite not hitting the necessary statistical plateaus to trigger the ability to void the final year of his deal, the Rams elected to allow Jackson the ability to do so anyway. Now Jackson appears to be exercising that option. According to Jim Thomas of the St. Louis Post-Dispatch, Jackson will void the final year of his contract and elect to test the free agent market. By choosing to void his deal, Jackson is leaving $7 million on the table he was scheduled to make next season. However, it was unlikely the Rams were going to be able to keep him on the roster at that price. Rams head coach Jeff Fisher has expressed a desire to keep Jackson in St. Louis and that discussions have gone well so far with Jackson’s agent. Jackson said in December he was “very optimistic” he’d finish his NFL career with the Rams. But Jackson will still hit free agency for the first time in his nine-year NFL career on March 12. The Rams career rushing leader has rushed for over 1,000 yards in eight of his nine seasons and rushed for 10,135 yards and 56 touchdowns for his career. 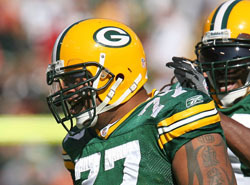 Before Cullen Jenkins signed on with the Eagles, he was a member of the Green Bay Packers’ defensive line. Now that Jenkins has been released by the Eagles, there’s word that he’d like to return to his old stomping grounds. Tom Silverstein of the Milwaukee Journal Sentinel heard from a source that Jenkins “would be interested” in returning to the Packers now that he’s on the open market. Jenkins had 11.5 sacks over his final two seasons with the Packers and had 9.5 over the last two years with the Eagles. With Jerel Worthy’s status unclear because of a torn ACL, a reunion could make sense for the Packers as well. They are reportedly set to talk to former Giant Chris Canty in the coming days, so there seems to be interest in the idea of veteran help on the defensive line and Jenkins has familiarity with the system already. Silverstein thinks Canty’s a better fit, but it would seem that the Packers have a couple of options available to them if they choose to bolster their line ahead of the start of free agency. The 49ers made it sufficiently clear at the NFL Scouting Combine that they weren’t going to be giving quarterback Alex Smith away. And they may have already found a taker, or are at least spreading the word that they have in order to goose the market. According to Jason LaCanfora of CBSSports.com, the 49ers are telling other teams that a trade for Smith is “effectively complete,” even though it can’t be executed until the league year begins March 12. A trade being “effectively complete” two weeks before it can be done is the “mild concussion,” of medical diagnosis, in that it doesn’t really mean anything. But it sparked a couple of the usual suspects to stick their heads out of the hole to deny, with the Jaguars closely followed by the Browns. Jags GM Dave Caldwell told Ryan O’Halloran of the Florida Times-Union “not us,” via text. Then a source told Mary Kay Cabot of the Cleveland Plain Dealer it wasn’t the Browns either. Speculation about landing spots for Smith centered on the Chiefs from the start, for several reasons. One, they have a need for a solid quarterback to work with a roster that’s not bereft of offensive talent (especially if they franchise Dwayne Bowe). And without a quarterback worth using the No. 1 pick on, they can plug Smith in and be better immediately, lending some stability to a franchise that could use some. But they make more sense than some of the other teams from a style standpoint. With Andy Reid bringing a West Coast system to Kansas City, Smith’s mobility and recent accuracy is more of a fit. The Browns under Rob Chudzinski/Norv Turner are going to want to throw downfield more, and there’s been little evidence thus far that Smith has the kind of arm to do that (especially in adverse conditions). As the public and the media begin to grow weary (we hope) with the controversy involving former Notre Dame linebacker Manti Te’o, the fake dead girlfriend story hasn’t begun to die for teams interested in Te’o's talents. The lying to his father and Te’o's failure to come clean once he knew or should have known that the dead girlfriend was neither real nor dead are minor issues in comparison to things other players do. That’s a point former Chiefs G.M. Scott Pioli made eloquently during Friday’s Pro Football Talk on NBC Sports Network. But the elephant in the room for many scouts relates to the question that Katie Couric abruptly posed to Te’o — and that Te’o answered in a way that speaks volumes as to the current culture of football: Is Te’o gay? If he is, it shouldn’t matter. Still, people go to extensive lengths in an effort to conceal who they really are, thanks to a society that in many respects still doesn’t tolerate or accept those who are different. Thus, the fact that no current NFL player has come out of the closet proves that the NFL isn’t ready for a player to come out of the closet. Who, after all, would be better to gauge the response to an openly gay NFL player than a closeted one? With Te’o, the fact that his fake, dead girlfriend was actually a real, live male has done nothing to resolve questions that originated with speculation that having a pretend female in California provided plausible cover for not chasing real ones on campus. With Ronaiah Tuiasosopo admitting to Dr. Phil that Tuiasosopo was in love with Te’o, the unanswered question became whether Te’o had any inkling that he, too, was in love with a man. It shouldn’t matter. In the NFL universe, it just does. Right or wrong (i.e., wrong) for it to matter, it does. And so at a time when everyone seems to be bracing for the moment when the league will welcome an openly gay player, teams are trying to figure out whether they would be drafting a closeted one. This doesn’t mean that any teams would take Te’o off the board if he turned out to be gay. (Of course, some could choose to shy away from him without ever articulating the reason.) Given the realities of NFL locker rooms, however, teams simply want to know what they’d be getting. Again, it shouldn’t matter. In the NFL universe, it just does. 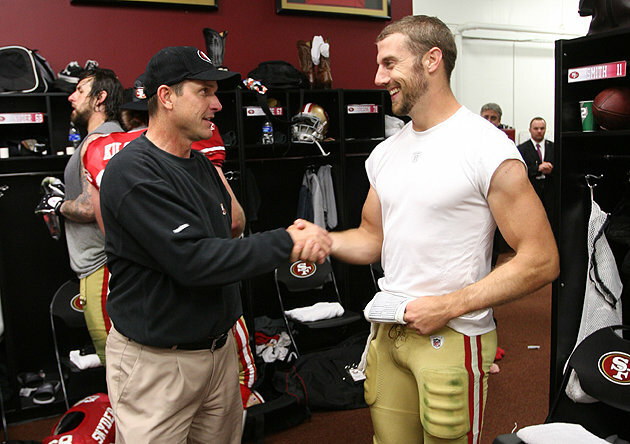 The stories of the football influences on Jim Harbaugh were well told and often during the weeks leading up to the Super Bowl. But perhaps the biggest impact on his NFL Scouting Combine preparation isn’t Bo Schembechler or Jack Harbaugh, but Judge Judy. While discussing the need for draft prospects to be forthcoming during interviews, Harbaugh admitted being a fan of the syndicated television jurist. “Somebody that’s not truthful, that’s big, to me,” the 49ers coach said. “I’m a big fan of the Judge Judy show. And when you lie in Judge Judy’s courtroom, it’s over. Your credibility is completely lost. You have no chance of winning that case. So I learned that from her. Of course, the discussion of trust centers on tomorrow’s arrival of Notre Dame linebacker Manti Te’o, of the fake dead girlfriend fame. That’s why even though the interview Te’o does with the assembled media tomorrow will draw plenty of eyeballs, the meetings he holds with teams this week will carry more weight. “I think there’s certainly a part of being with somebody for a half an hour or 15-minutes or an hour or two that you can know somebody,” Harbaugh said. “Some people have that ability to have a 30-minute conversation with them and you walk away thinking you really know that person. Others, you can’t. Or in the case of Judge Judy, 17 years of television fame, and the admiration of a professional football coach. Jim Harbaugh said he thought his team had the best quarterback situation in the league, and he’s either going to keep it that way, or get something for it. Harbaugh just said it was “unlikely” the 49ers would release quarterback Alex Smith, meaning he’s either confident he can find a trade partner, or would be content keeping him as Colin Kaepernick’s backup. Smith at $8.5 million is too much for a backup, but for many teams, he’d be an affordable upgrade as a starter. With a draft class of quarterbacks that no one can make up their mind about, Smith might be a safer bet than the rookies, and not so prohibitively expensive to make him a burden. 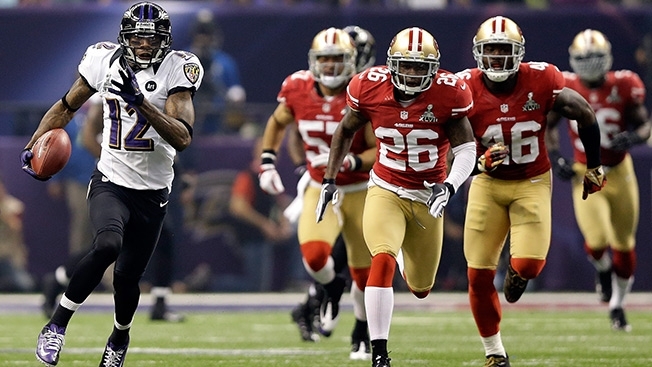 But Harbaugh also left open the possibility of keeping Smith, in an effort to maintain leverage. While that might be a stretch, they do have an asset, and Harbaugh is working hard to maximize it. 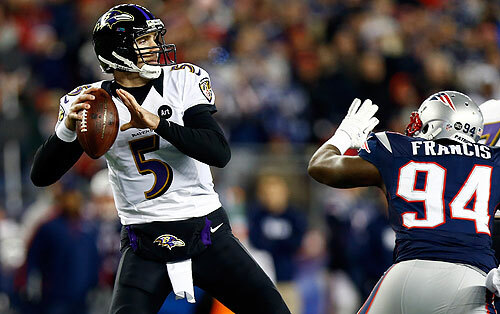 The Ravens and quarterback Joe Flacco still haven’t worked out a long-term deal. Regardless of how the dominoes fall, assistant G.M. Eric DeCosta made clear during an appearance on Thursday’s Pro Football Talk that the team plans on keeping Flacco around for the long haul. “We have no intentions of letting Joe Flacco leave Baltimore,” DeCosta said. Still, DeCosta didn’t put the chances of Flacco leaving at zero percent. “Probably negligible,” DeCosta said. So does that mean the Ravens will use the exclusive level of the franchise tag, if push comes to shove? If the Ravens don’t use the exclusive level of the franchise tag, Flacco will be able to negotiate with other teams and sign an offer sheet. If the Ravens can’t or won’t match an offer that likely would be heavily front-loaded, the Ravens would receive two first-round picks as compensation. As DeCosta said, the chances of that happening are “probably negligible.” But he didn’t say zero, which means there’s still a chance the Ravens will roll the dice with the non-exclusive tag — and that another team will make a run at the reigning Super Bowl MVP. 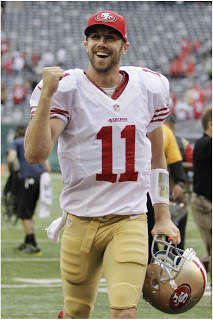 With an incoming rookie class of quarterbacks that no one seems sold on, the 49ers are sitting on an asset in Alex Smith. And they want to make sure everyone is aware that they control that asset. 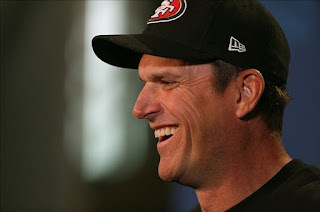 When 49ers general manager Trent Baalke was asked about the future of his former starting quarterback, he said he recently had dinner with Smith and his wife, and told him all options were on the table for the team. But he denied that he was going to give him away. “Are we going to trade him for sure? 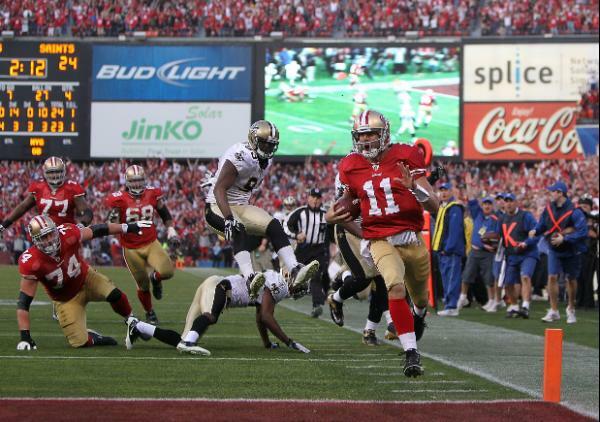 No, that hasn’t been decided,” Baalke said. While the 49ers might want to suggest they’re perfectly happy to keep Colin Kaepernick’s backup (to the tune of $8.5 million), it seems that no reasonable person expects that to happen, and a closer look at college quarterbacks this week is only going to increase the value of a guy who is at least a league-average starter, when many teams don’t have anything approaching that. In the five months since Jets cornerback Darrelle Revis suffered a torn ACL, Seahawks cornerback Richard Sherman has made the case — both with his words and with his play — that he has surpassed Revis as the best cornerback in the NFL. 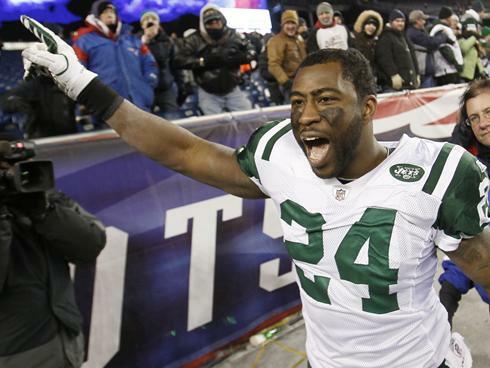 But Revis doesn’t buy it. It’s not clear exactly what set Revis off today, but Sherman has said in several media appearances that he considers himself to be the game’s premier shutdown corner, and he also posted an image on Twitter contrasting his own stats with Revis’s, implying that he has been the superior player. Maybe Sherman’s comments will provide Revis with a little extra push while he rehabs his knee injury and attempts to return in 2013 to his perch as the top cornerback in the league. 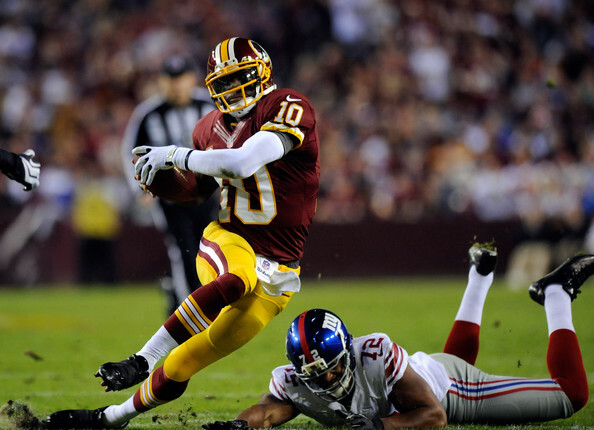 Robert Griffin III sent out a tweet Tuesday that featured a link to a new commercial he filmed for Adidas. The commercial features exploding scoreboards and football fields — no exploding knees, though — before ending with the tagline “All In for Week 1.” Griffin’s tweet features the same phrase, which naturally garnered some interest from those following his rehab from the knee injury suffered in the team’s playoff loss to the Seahawks. Some of that interest was from people concerned that Griffin might be pushing too hard to get back for the season opener, which led Griffin back to Twitter a short time later to clarify his position. “Feel like I need to say this..Although my goal is to start Week 1, that doesn’t mean I will compromise my career to do so,” Griffin wrote. It’s the wisest course of action, obviously, and one that should put to rest any immediate fears that Griffin’s being less than judicious with his decision making in regard to his rehab. There’s a long way to go before we’ll have any idea about Griffin’s availability for Week One, Week Two or anything else, which probably means that everyone should keep in mind that advertising slogans aren’t always rooted in reality. On Monday, preeminent draft guru Mike Mayock participated in a pre-Combine conference call that lasted more than 2.5 hours. Tirelessly answering question after question, Mayock demonstrated once again a computerized recall of names and teams and needs. With plenty of interest focused on what will happen at the top of the draft, Mayock eventually was asked to identify the players he believes to be worthy of the first overall pick, held by the Chiefs. Mayock said there are four: Alabama guard Chance Warmack; North Carolina guard Jonathan Cooper; Texas A&M tackle Luke Joeckel; and Central Michigan tackle Eric Fisher. The list doesn’t create the kind of sizzle to which we’ve become accustomed at the top of the draft. And for good reason. There are no quarterbacks regarded as worthy of being the first overall pick this year. Mayock realizes that the Chiefs’ needs could be influenced by their decision regarding tackle Branden Albert (who could actually move to guard if a guy like Joeckel is drafted with the first pick). Still, Chiefs coach Andy Reid learned the hard way in 2012 the importance of having a high-end offensive live. With a cluster of high-quality blockers at the top of the draft and a rookie wage scale to keep the total cost far less than what it would be to sign Albert to a long-term deal, the Chiefs could opt for the lineman whom they decide they like the most. And then they’d hope that the rest of the teams agree with G.M. John Dorsey’s assessment that none of the quarterbacks merit a first-round selection. Which would push all of the quarterbacks to the Chiefs at the top of round two. The window has opened for every team to apply the franchise tag. The Eagles don’t need the window to open, because they reportedly don’t intend to use it. Or because they plan to fly into it. Again. Either way, Geoff Mosher of CSNPhilly.com reports that the Eagles won’t apply the tag to anyone. It’s not a surprise, as pointed out in last night’s team-by-team look at the tag (yes, I’ll be promoting the hell out of that 2,500-word manifesto over the next few days), only cornerback Dominique Rodgers-Cromartie merits consideration in a fairly small class of Eagles players whose contracts are expiring. But he’s not nearly at the level that would justify tying up eight figures in cap space, and so the Eagles will let him hit the market. Along with the rest of their free agents. Along with a few guys who currently have contracts, especially if they won’t take reduced deals. Slated to reach free agency after failing to attempt a single pass last season, Jackson was re-signed Friday. While that transaction is hardly earth-shattering news, head coach Doug Marrone's accompanying quotes certainly registered on the Richter scale. 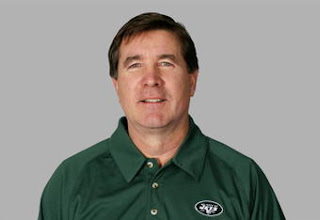 "I spoke with Ryan (Fitzpatrick) and Tarvaris (Jackson) and told them we will have an open competition at the quarterback position," Marrone said, "similar to what we will do at all positions on our team heading into our offseason work." It may not be that cut and dry, however. Having already received $21 million of the six-year, $62 million contract signed during the 2011 season, Fitzpatrick is due a $3 million roster bonus in March. It will actually cost the Bills more money against the cap to retain Fitzpatrick than to release him. If he is not amenable to a pay cut, Jackson may have no veteran competition after all. Bills fans looking for a silver lining to their underwhelming quarterback situation can take solace in the knowledge that any quarterback selected in the early rounds of April's NFL draft will have a clear path to the starting job. Some ideas are too perfect not to work. Rob Gronkowski is a star tight end for the New England Patriots whose only apologies for partying come via novelty T-shirts. The Academy Awards are unquestionably Hollywood's biggest and most prestigious event. Gronk and the Oscars have absolutely nothing to do with each other. This is why they must join as one. Gronkowski will be in Los Angeles a week from Sunday to serve as the Oscars red carpet correspondent for the "Rich Eisen Podcast." This is a good thing. Gronk follows in the footsteps of Hines Ward, who handled correspondent duties for Eisen last year. Ward was a nice, logical choice. He played a zombie on "The Walking Dead." He willfully participated in "Dancing With The Stars." There was connective tissue to be found. 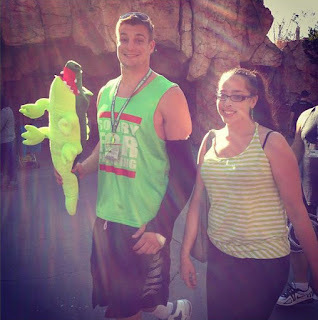 This is decidedly less so with Gronk. Sure, we'll look forward to the All-Pro talking football with Ben Affleck, Matt Damon and any other Boston-bred dignitary who rolls over to pay respects. But what we're really looking forward to are the people whose first thought will be, "Who is this large, agile man approaching me?" Possibilities: Gronk discussing legacy with Dame Judi Dench. Gronk failing to connect with Tommy Lee Jones. Gronk trading Lincoln research with Daniel Day-Lewis. It's all in play, people. And we'll be there to document it. 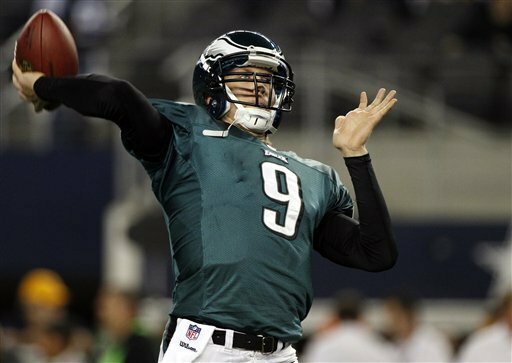 The Kansas City Chiefs have already reportedly expressed an interest in acquiring Philadelphia Eagles quarterback Nick Foles to reunite with head coach Andy Reid. 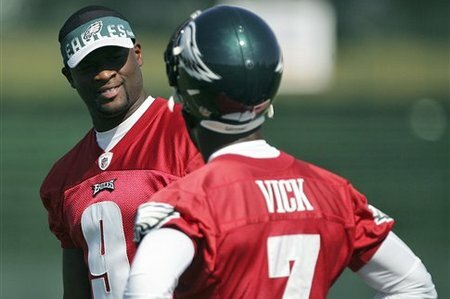 The Eagles planning on keeping Foles would fall in line with comments by head coach Chip Kelly earlier this week saying that he expected Vick and Foles to compete for the starting job. However, that was also before Dixon was added to the roster. The Eagles now have four quarterbacks on the roster in Vick, Foles, Dixon and Trent Edwards. If Philadelphia is going to maximize any potential trade market for Foles, the best way to do so is to make it seem that they aren’t trying to get rid of him. The Eagles could very well decide to keep Foles in Philadelphia but it doesn’t make sense for them to say otherwise if they want to maximize Foles’ trade value. For now at least, it appears as though there will be one fewer quarterback available on the market this off-season. 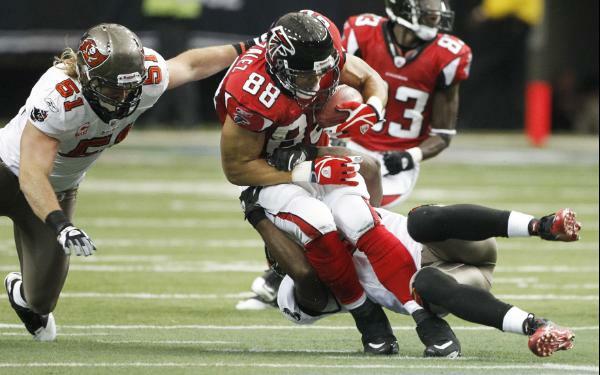 Tony Gonzalez stated time and again he was "95 percent" certain he was retiring after the 2012 season. Atlanta Falcons general manager Thomas Dimitroff isn't saying the veteran tight end is being dishonest, but he feels there's a much better chance Gonzalez returns for a 17th season than he's let on. "Tony has done so much for us on and off the field and I don't believe, not stating that he would be lying to anyone, but I don't believe the 95 percent," Dimitroff said Thursday on NBC Sports Network's "Pro Football Talk." "I want to believe it's a lot closer to 50/50, to be honest with you, and we've had discussions." "Obviously (head coach) Mike Smith has had discussions with him. We're all in a good place. Ultimately it's up to Tony to decide if he wants to come back and potentially catch 100 balls again. I think it's one of those situations that Tony was so effective for us down the stretch and I can't imagine that his appetite wasn't sort of whet from his contributions in the playoffs." Smith told The Atlanta Journal-Constitution this week there's nothing "concrete in terms of a timetable" for the tight end to come to a decision. Dimitroff said Thursday that Gonzalez is still the No. 1 tight end on Atlanta's internal depth chart. Smith said the Falcons' personnel department would perform its combine due diligence on tight end prospects regardless of Gonzalez's status. It's still hard to believe Gonzalez would walk away with so much left in his tank, especially with that perfect setup in Atlanta. We'll believe Gonzalez is done when the retirement papers are filed. Until then, call us 95 percent unconvinced. On Wednesday, Cowboys coach Jason Garrett said that the team didn’t need to decide on the identity of the guy calling the plays on offense until the first preseason game this summer. It was offensive coordinator Bill Callahan’s turn to meet the media on Thursday and he got all the questions you’d imagine about the hot topic du jour in Dallas. Callahan did his best to downplay any potential tension in the topic, parroting much of what Garrett said about the play calls being a team effort. There’s little doubt that gameplan construction involves more voices than Garrett’s every week and the voice in Tony Romo’s helmet is less important that a well-designed scheme. The reason this continues to be an issue for the Cowboys is that Garrett’s boss said he wanted someone else to call the plays and, as of now, Garrett hasn’t said that he’s going along with Jerry Jones’ wishes. It’s not that we doubted it before, but now we know for sure. That was in reference to the most recent bout of shirtless partying by Bill Belichick’s favorite bro. Because of course he did, that’s why. As Mankins pointed out, until Gronkowski starts hurting other people, there’s a ceiling on how riled up anyone should get about the guy. Meatheads (and their stuffed alligators) are just trying to have fun. After being a predominantly one-back offense for most of Andy Reid’s tenure as head coach, the Philadelphia Eagles plan on shifting to a two-back offense next season. According to Reuben Frank of CSNPhilly.com, offensive coordinator Pat Shurmur plans to use both LeSean McCoy and Bryce Brown and split the workload in the Eagles backfield. “I think it’s important that you use more than one running back,” Shurmur said. “It’s a long season, and a guy can run out of gas quickly. Head coach Chip Kelly frequently relied on multiple running backs during his tenure at Oregon. Kelly had at least two players with more than 90 carries a season in each of his four years as head coach of the Ducks. Last season, running backs Kenjon Barner, De’Anthony Thomas and Byron Marshall and quarterback Marcus Mariota all had at least 87 carries a piece for Oregon. Both McCoy and Brown each carried the ball over 100 times last season for the Eagles. It was the first time since 2003 when Shurmur was the Eagles quarterbacks coach that Philadelphia accomplished that feat. 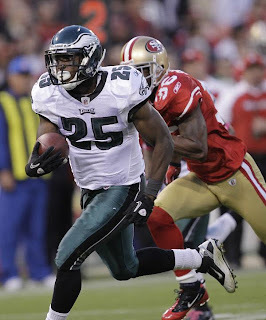 In between, McCoy and Brian Westbrook had been relied on to take the majority of the carries for the Eagles. James Harrison is willing to work with the Steelers to lower his salary cap number, but he’s not willing to take a pay cut just to stay with the team that drafted him and developed him. Harrison’s agent, Bill Parise, told John Harris of the Pittsburgh Tribune-Review that he still thought his client was “a bargain” (although what else would he say). Of course, the Steelers could make a decision on the 34-year-old outside linebacker independent of Harrison’s wishes also. “Could it happen? It certainly could. The NFL can cut any player at any time,” Parise said. “Having said that, if James Harrison was released, there would be 31 NFL teams interested in him. Bargain might be a stretch, after he logged six sacks in 13 games last season, is due $6.57 million this year and $7.57 million next year, and is coming off two years worth of knee and back problems. But unlike when Harrison replaced Joey Porter (who replaced Jason Gildon, who replaced Kevin Greene), the Steelers don’t seem to have a replacement in the pipeline, as neither Jason Worilds (five sacks) or Chris Carter (none) have given much evidence they’re ready to take over. “I don’t think anybody would argue at the end of the season that James Harrison was the best linebacker the Steelers had,” Parise said. There might be an argument, and the Steelers might be the ones making it. Institutionally, they’ve been willing to let their own guys go too soon rather than too late, and Harrison’s age, injury record and salary are all working against him. The winter storm that hit the northeast last week highlighted the concerns that have previously kept the Super Bowl from being played in outdoor stadiums in cold weather environments. With weather issues a possibility with Super Bowl XLVIII being held at MetLife Stadium in East Rutherford, N.J., the NFL is already developing contingency plans if the game is directly affected due to adverse conditions. According to the Sports Business Journal, the NFL is considering several options that include delaying the game several days or even moving the game up to Saturday if an especially nasty forecast is the picture. Several logistical problems are presented if the game has to be delayed and not held on Sunday. Fans that will have planned on leaving on Monday will be forced to change their flights and hotel reservations to stay longer. If the game has to be postponed due to inclement weather, it’s reasonable to assume the airports will have had to cancel many flights as well furthering the logjam of displaced travelers. 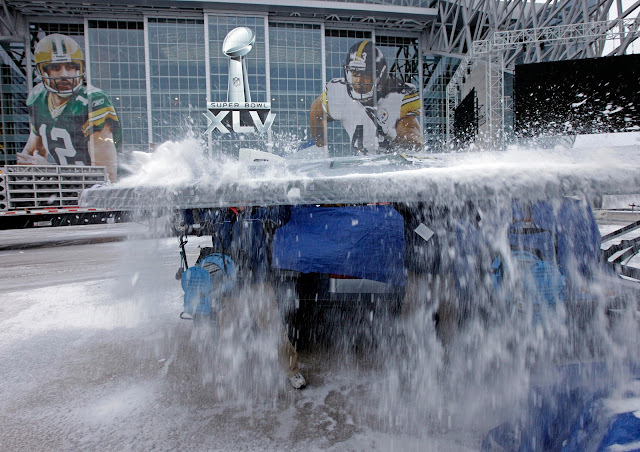 By agreeing to host a Super Bowl in a cold climate, the NFL has brought these scenarios into the picture as possibilities. The league will have to keep their fingers crossed that they get a little lucky and that the weather won’t be the storyline of the week next February. If the weather does become an issue, the league appears to be getting a jump-start on the best way to handle a severe winter storm. We’re a little more than a month away from the start of free agency and one potential free agent isn’t getting the love he’d like from his current team. 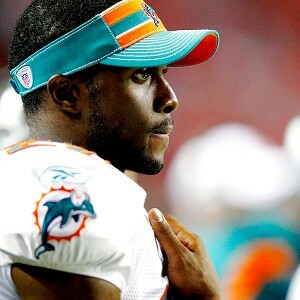 Dolphins running back Reggie Bush hasn’t been coy about his desire to remain in Miami in 2013 and beyond, but the team hasn’t returned the affection. Ben Volin of the Palm Beach Post reports that a source close to Bush says that the running back is “confused” about why the Dolphins haven’t even extended an offer to Bush at this point. It’s probably not that confusing. The Dolphins have drafted Daniel Thomas and Lamar Miller in the last two years, which would make for a tidy explanation for why they feel they don’t need to retain Bush at a price at or above his $5 million salary in 2012. Volin’s report indicates that the team expects big things from Miller, in particular, and that Bush’s role would likely be diminished even if he did return. Bush has been fairly productive in his two years in Miami, although he hasn’t done anything that would make it hard to understand why the Dolphins would move in a different direction. It’s increasingly looking like that’s just what will happen. Welcome to our RealFootballAnalysis Podcast Series featuring insight, trends, and analysis from The Football ERA Formula--Starting with a lucid explanation of the Football ERA Results from the Super Bowl. 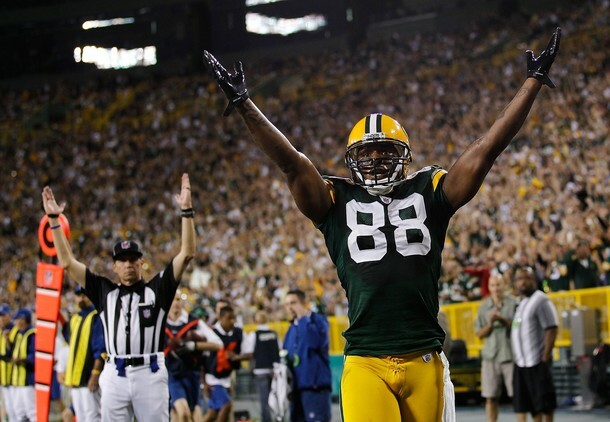 Jermichael Finley figures it is 50/50 if he returns to the Green Bay Packers next season. He is due to earn $8.25 million in 2013 and has a $3 million bonus due next month, so the Packers will have to make a decision on him in the near future. Finley has stirred the pot in the locker room at times with comments about being on the same page as Aaron Rodgers, but it’s never gotten to the point where he’s become a distraction. Finley caught 61 passes for 667 yards and two touchdowns with the bulk of his production coming in the second half of the season. "I would love to stay there," Finley told Tyler Dunne of the Milwaukee Journal Sentinel. “But if Green Bay says otherwise, I play football for a living, so I'd have to switch gears and get ready for another chapter in my life." Finley is only 25 and the Packers don’t look to have a replacement for him on the roster. He is entering the final year of his contract. He hasn’t heard anything from the club lately but indicated his meeting with coach Mike McCarthy at the end of the season was positive. "At the moment, there's no communication," Finley said. "Everything is shut down. That's a sign that everything is good at the moment. But if not, I'll be disappointed." 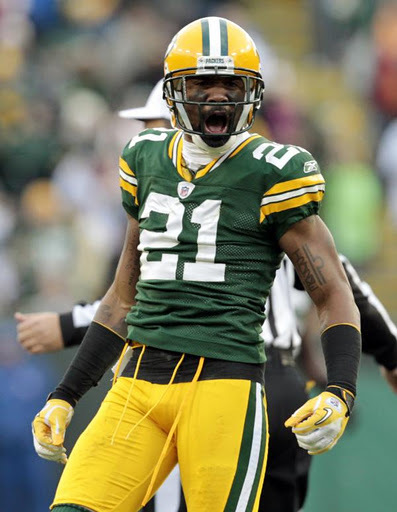 The Green Bay Packers still have a decision to make on Charles Woodson. The 36-year-old safety is due $9 million combined in salary and roster bonus in 2013. He'll count $10 million against the cap if he plays all 16 games. Woodson moved to safety in 2012 and missed nine games due to a broken collarbone. He doesn't cover like he used and just isn't the same game-changer, but he's still productive and smarter than most defenders. Cornerback Casey Hayward, however, had a tremendous rookie season while M.D. Jennings and Jerron McMillian showed promise at safety. The Packers defense can survive without Woodson. "I guess the Packers have to make a decision," Woodson's agent Carl Poston told Milwaukee Journal Sentinel reporter Tyler Dunne. "Is having Charles out there worth $11 million a year? I would think so because he's one of the better defensive players. He's not what he was, but he's much more valuable than most defensive players, period." Like most decisions with aging superstars, this will come down to cash. The Packers have to pay quarterback Aaron Rodgers, linebacker Clay Matthews and defensive tackle B.J. Raji soon. That's the priority for general manager Ted Thompson. Does that become easier with a reworked deal for Woodson or parting ways all together? Or does the organization still consider Woodson a vital piece of that defense that must be kept at all costs? The former is more likely. "They haven't said anything to the contrary, so we're assuming he's going to be back," Poston said. "There's always a tradeoff. I'm sure there's something we could work out if there's more guaranteed money in the deal. "Charles is a football player. If you wanted Charles to sell popcorn at halftime, he would do it. Moving to safety is just a natural progression of his development, his leadership. He's like a coach on the field. I think that just having him on the field is a major, major asset. So regardless of what position he's playing, you can say Charles is a football player." Woodson is still an NFL starter. But will it be in green and gold? That's the $10 million-question. Well, apparently there’s a roster spot open in New York for Brandon Jacobs. 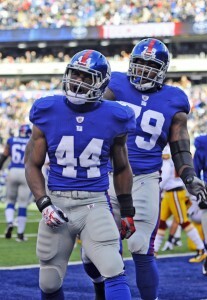 The Giants have released veteran running back Ahmad Bradshaw, according to a source with knowledge of the situation. The move comes as Bradshaw’s base salary moves from $3 million to $3.75 million, and as 2012 rookie first-rounder David Wilson has shown he’s capable of holding onto the football — and in turn the starting job. In recently acknowledging that he has undergone another foot surgery, Bradshaw acknowledged that he could be released in favor of a Wilson/Andre Brown combination. Bradshaw, a seventh-round draft pick in 2007, was a member of two Super Bowl championship teams. He rushed for 1,050 yards in 14 games last season. His career high came in 2010, when he gained 1,235 yards. As a vested veteran, he becomes an unrestricted free agent.